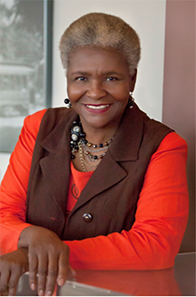 Dr. Lusharon Wiley was a successful manager and leader in higher education for over 24 years. In 2018, she transitioned to corporate America as the Director of Culture for Innisfree Hotels, a hotel management, marketing and development company. Lusharon holds a doctorate in education from the University of West Florida, Pensacola; a Master of Art in Political Science from the University of Illinois, Chicago and a Bachelor of Science in Political Science from Tuskegee Institute, Alabama. Founder and director of the Argo Pantry, a service designed to help students in need of emergency food assistance. In 2016, Dr. Wiley wrote, produced and performed her one-woman show, “Lusharon Unleashed.” She is working on her second production. Wiley, L. (2018). Feature article on my life’s journey as a successful woman. Out Front Magazine. Wiley, L. (2015). Can Mindfulness Align Us With Success? Powerful Women of the Gulf Coast Magazine. Ford, D, Northrup, P. and Wiley, L. (2009) New Directions for Student Services. Connections, Partnerships, Opportunities, and Programs to Enhance Success for Military Students. Wiley Periodicals. American Association of State Colleges and Universities (2007). Hispanic Student Success in State Colleges and Universities: Creating Supportive Spaces on our Campuses, Research team member that visited Chico State University, Hammang et.al. When Black Folks Was Colored (1998). Anthology of selected writings. Mama N’em. African American Heritage Society of Pensacola.